The Radiator Studio supplies many makes and designs from our suppliers in Europe directly imported to us. 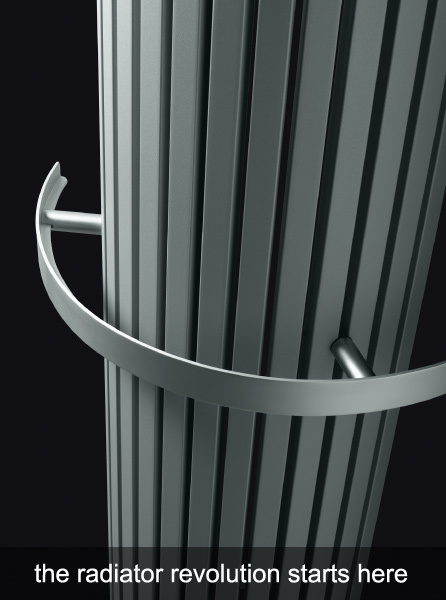 We also supply Bisque radiators and distribute for Vasco radiators. We continue to extend our range of products as soon as they become available from our manufacturers. Our range is intended to be used in both commercial and domestic settings with a wide variety of designs, sizes, colours and materials. Most radiators are kept in stock in white RAL 9010 or chrome for a 2 - 3 day dispatch, other colours are powder coated or wet painted in Scotland to our customer's requirements. We also electrify all aluminium radiators with a fully adjustable temperature control element in white, chrome, satin chrome and gold finish. Very easy to install and economical to run. Don't forget our excellent selection of radiator valves and accessories which we stock.